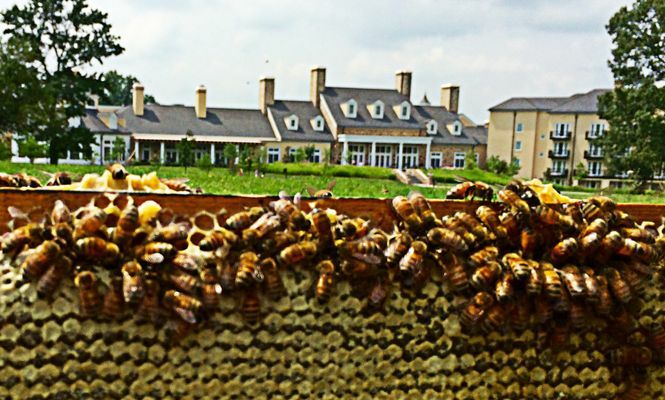 MIDDLEBURG, VA – Salamander Resort & Spa, the luxury resort located outside Washington, D.C. recently formed a partnership with local beekeeper Britt Thomas, owner of Britt’s Bees, to develop the Salamander Honeybee Program. Bringing in 20 hives with about 50,000 bees in each hive for a total of more than one million bees, Salamander will start producing its own honey before the end of summer. Since its opening in August 2013, the resort has made every attempt to leave the land as natural and abundant as possible with indigenous trees, flowers, birds and wildlife –200 of its 340 acres are in conservation easement. Additionally, the resort is committed to sourcing its food, wine and other products from as many local sources as possible. “We are thrilled to have this program in place at Salamander and are excited to see it mature. Together, our goal is to have twenty or more colonies located around the property over the next few years. 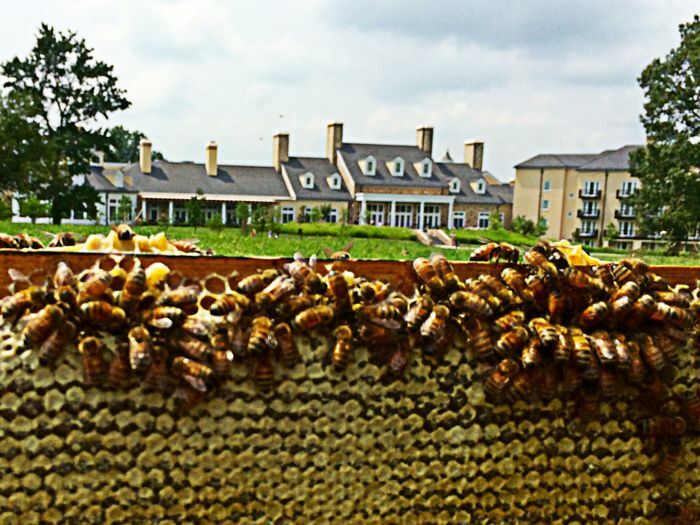 Although a small start, we are proud to make a positive impact in favor of honeybees and to continue to produce seasonal ingredients,” says Chef de Cuisine Chris Edwards. According to an annual survey released by the Bee Informed Partnership in May 2015, about 5,000 beekeepers reported losing 42.1 percent of their colonies over the last year. This represents the second-highest annual loss recorded since surveys began in 2010. With the colony located across the resort’s Grand Lawn within guest view, Salamander hopes to increase awareness on the plight of honeybees and other pollinators. The nearby honeybees will also benefit the resort’s culinary garden where many of the vegetables and herbs featured on its restaurant menus are sourced. By the fall season, Salamander expects the bees to provide enough honey to meet all the restaurant demands and allow for its guests to take home a unique memento from their stay. The resort will also launch a Honey Dinner Series where guests can experience a multi-course dinner with drink pairings focused on honey along with demonstrations by Thomas and Salamander’s culinary team. Opened in August 2013, Salamander Resort & Spa is a LEED Green Building Certified resort situated in the historic village of Middleburg, VA on 340 picturesque acres. Located only one hour from Washington, D.C and just 35 minutes from Washington Dulles International Airport, the resort is designed to respect the architectural traditions of Virginia’s countryside with 168 spacious rooms and suites that blend into their natural environment. Resort Owner Sheila C. Johnson has created a luxurious destination featuring an award-winning 23,000-square-foot spa, Harrimans Virginia Piedmont Grill, the Gold Cup Wine Bar, a dedicated Cooking Studio, a chef-inspired Culinary Garden as well as the adventurous Tree Top Zip Tour. The resort includes a full-service Equestrian Center with unique programming, a 22-stall stable and riding arena. All spa, culinary and equestrian facilities and programs are open to the community. For more information, visit www.SalamanderResort.com or call 866.938.7370.